Just how much do you enjoy getting a nice toy for the child you love? It feels great to see them smile when you get them something they enjoy, right? You feel a sense of accomplishment, love, and utter joy. However, as little girls grow up, you’re no longer sure whether they still want to play with dolls. There are tons of toys on the market that help develop different aspects of childhood. Which is best? At 8 years old, girls can focus for longer periods. At this point, they want to solve problems on their own and feel a sense of achievement. They’re just starting to mature and you might want to get something that’s mentally and physically challenging — let’s look at this in more detail. Use the links above to check the latest prices or read our in-depth toy for 8 year old girl reviews below. What Development Milestones Are They Going Through? Eight-year-old girls are at the stage in their lives where they develop significantly in their cognitive abilities. When my niece was this age, she had questions and she always wanted her opinion heard. She was also very active. Physical development: Your 8-year-old might not undergo drastic changes, but her existing skills will improve significantly. At this age, she might start to show early signs of puberty (source). This is where she’ll also start joining organized sports. Physical activities like skipping, jumping, and running may be appealing. She’ll want to socialize, work in a team setting, and multi-task. Cognitive development: She’ll start to understand different concepts. Her memory will improve, and so will her organizational skills. She’ll want to understand how everything works so she can excel. She’ll also no doubt be very chatty and want to talk all about her day and what she did (source). Social development: At this age, your girl may want to take part in different social groups. She will easily separate from her parents and want to spend time at sleepovers or grandma’s place (source). They could be interested in group plays, team sports, or camping with peers. Look for toys that encourage social development. When choosing toys for 8-year-old girls, it’s imperative that you not only consider her mental and physical changes, but what she likes as well. After all, she’s an individual with her own interests. What else do you need to keep in mind (source)? Is it age-appropriate? Choose toys that will be beneficial for her. She’ll realize the toy’s value and enjoy playing with it. The toy should expand her creativity and improve her motor skills for athletic activities. Your 8-year-old could be interested in board games, crafts, science kits, and building sets. These pose challenges and sustain interest (source). Will she learn from it? Does the toy stimulate her mind? Will she be inspired? Is it educational? Some toys incorporate several of these aspects, while others encourage physical development. The toys should challenge them mentally, invoke curiosity, or simply make them laugh and have fun. That counts too, right? Now that you know what to consider, it’s time to make a choice. Here are 19 of what I feel are some of the best toys out there for 8-year-old girls. You could pick one, or get an idea of what to purchase depending on the girl you’re buying for. Crafts can be such a joy, and I’m sure most girls will love My First Sewing Kit, which fosters creativity and design skills. This has the potential to become a favorite hobby, or who knows, even a budding career. It features 28 felt shapes, fabric, stuffing, embroidery floss, a thimble, needles, pins, and measuring tape. It also comes with a pin cushion, pom pom strips, and six buttons. All this comes in a charming carry case, with easy instructions. 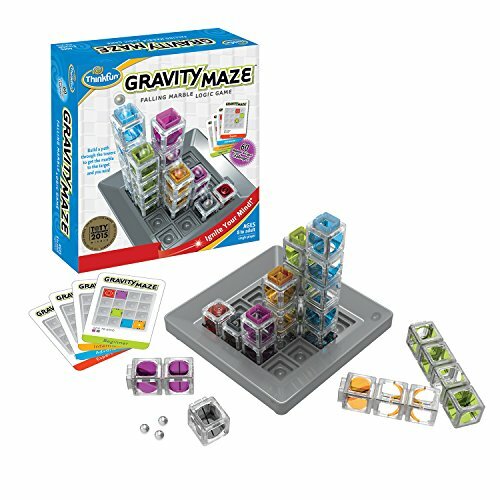 Gravity maze is an awesome game that your daughter might love if she likes solving puzzles. It features 60 challenges that escalate as the player moves along. It has nine towers, a game grid, three marbles, and a target piece. Logic games develop critical skills, such as planning and spatial reasoning. This maze will test your daughter’s reasoning and visual perception skills. She’ll need creativity because once she builds the tower, she needs to leave a path for the marble. This game is partly a building and engineering toy, which is awesome! It comes with easy-to-follow instructions so she can get right into it. She’ll have fun and learn at the same time. With over 840 pieces, an interactive motor, and sensors for color, tilt and distance, your girl will be all set. Building is always so much fun, and with this set she’ll be introduced to coding too. She’ll get five challenging models to create, including Vernie the robot and Frankie the cat. 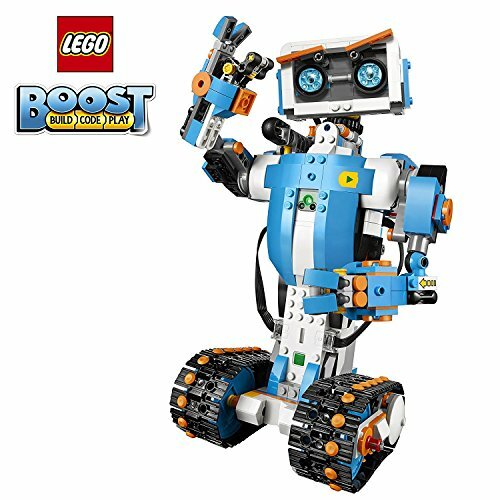 The free Lego Boost app includes building instructions to help her along. The Move Hub has Bluetooth low energy connectivity, although you need to use a tablet or smartphone for this and the Lego Boost app. 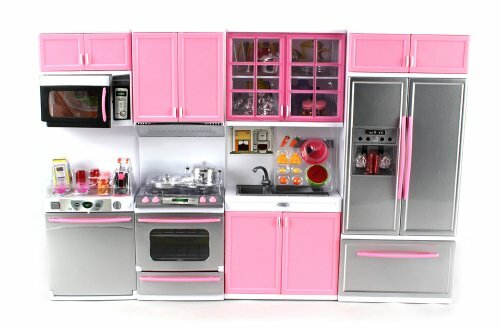 If your daughter frowns at you when you refuse to allow her in the kitchen, here’s a miniature kitchen for her dolls instead. This is a deluxe modern kitchen that has everything a budding chef needs. It features an oven, fridge, stove, and sink. All the cabinets and doors open, while the fridge and microwave light up for a realistic cooking experience. It comes with tons of tiny accessories, from cups to pots, pans, food — you name it! It’s a perfect size for up to 12-inch dolls and includes batteries. It will encourage her to learn her way around the kitchen and enhance her organizational skills. 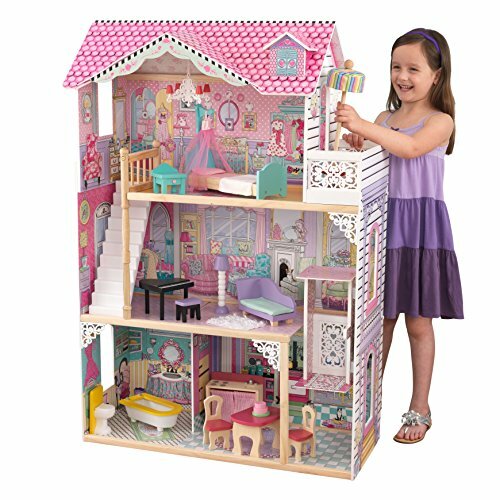 If your 8-year-old loves dolls, why not buy her the dollhouse of her dreams? This Annabelle dollhouse from KidKraft is well constructed from lightweight wood. It’s designed to develop your angel’s interior design skills and bring a smile to her face. It’s a three-storey classic Victorian house that features windows on both sides for easy viewing. It comes with 17 pieces of beautifully designed furniture, an ornate chandelier, a pink shingled roof, and heart-shaped lattice-work. There’s also a working elevator and stairs — how cool is that? Everything comes in beautiful shades of pink, with a dash of other colors here and there. It’s almost 4 feet tall, and features four rooms and a balcony. Playtime is about to get more interesting. Science is a fascinating subject, and human anatomy even more so. At 8 years old, your daughter is likely curious and has tons of questions. This 12-inch human model body will help answer some of them. The organs are squishy and she’ll learn by removing them one by one. The package includes a 24-page anatomy book, with illustrations that follow a piece of pizza as it moves through the body. The model is surprisingly realistic and easy for her to understand how our bodies work. 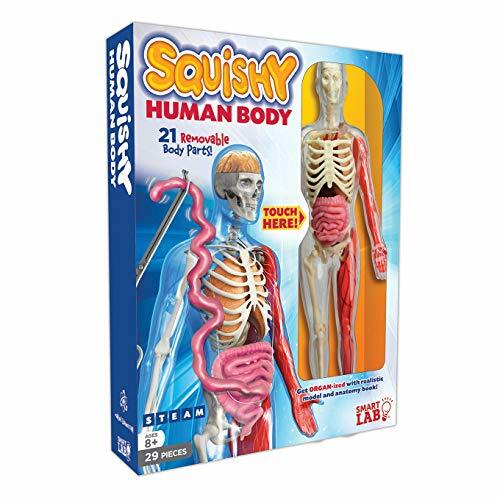 It features nine vital organs, 12 plastic muscles and bones, an “Organ-izer” mat, tweezers, and forceps. We all love singing — but some people were born to really love it. 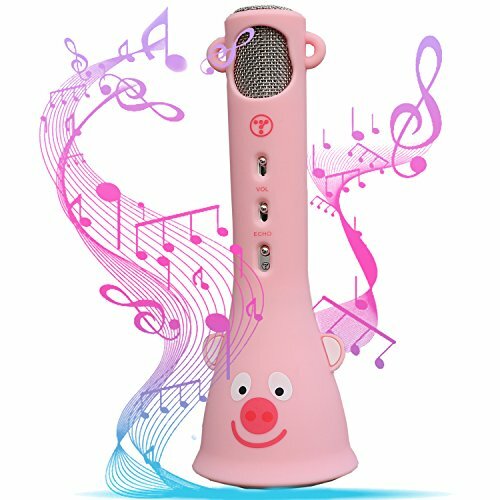 If your young lady falls into this category, this karaoke microphone is an excellent choice. It features a remarkable echo performance with great sound reverberation. The box comes with a charging cable, recording cable, and user manual. You need to pair it with an Android or iOS smartphone via Bluetooth to sing through apps like YouTube. 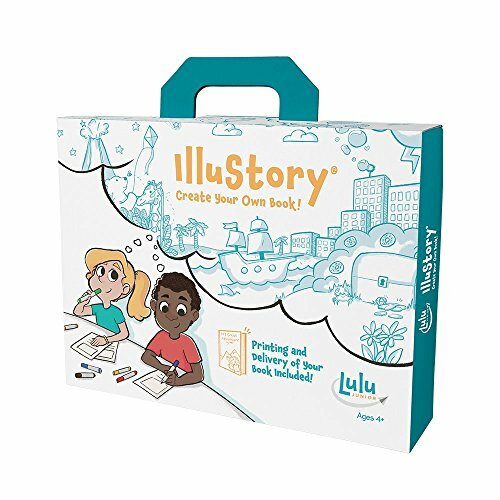 This is really an interesting kit that will allow your child to create her own story book. I like how it features a guide on writing and illustrating the story — this makes it easier for a beginner. Everything included in the kit allows her to express herself and she can get to it every time she feels inspired. The kit includes 10 color markers, ready-to-use template pages, and a postage-paid envelope for you to mail the completed pages. She’ll then receive her work in a full-color, professionally printed, hardcover book. Drawing and storytelling is about to get serious. Bring her imagination to life through an educational process and watch her expand her creativity and see it in print. Your young geologist can start her discovery at an early age. 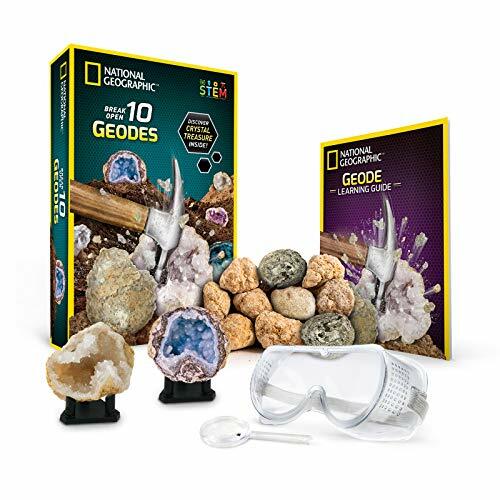 This science kit comes with 10 geodes and, once she breaks them open, she’ll find crystal treasures hidden inside. The geodes come in a variety of colors that reveal vibrant-colored crystals. It features a 16-page learning guide that describes how geodes are formed and what different varieties are available. You’ll be glad to know that these are 100 percent natural geodes. Geology doesn’t get any better than breaking rocks to find treasures. With safety goggles and display stands, it makes a perfect outdoor activity that will feed your 8-year-old’s hungry mind. 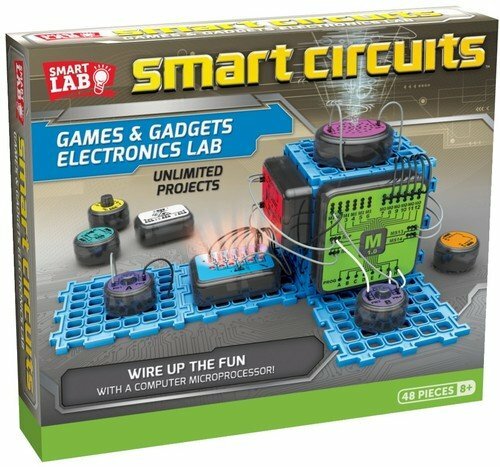 Electronic games are nothing short of intriguing and if your baby girl wants to be an engineer someday, this is a great place to start her off. This kit will allow her to build unlimited games and gadgets. She will experience a sense of purpose, challenge, and accomplishment every time she wins. I always love the look of pride on a child’s face when they accomplish something. The game uses a microprocessor and modular system. It features a variety of modules, wires and boards, and a 48-page book that shows you how to get things done. If your girl loves Elsa and Anna, as my kids do, this might pass as the ultimate playtime toy. This sticker book features over 60 reusable, fully-colored stickers that are brightly designed to bring joy. Anna embarks on a journey to look for her sister — who’s busy letting it go — and she meets Olaf and Kristoff. 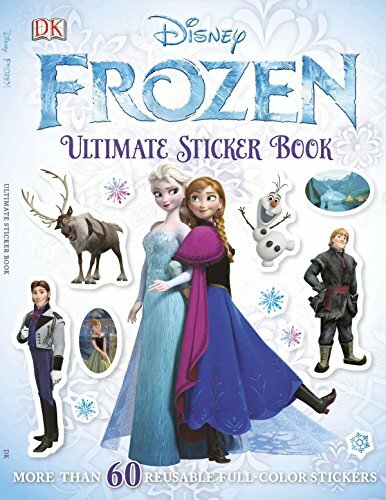 Featuring the characters, locations, and iconic scenes from the movie, your girl will love following the story, using the stickers through the book. I have a niece who cannot get enough of magic tricks. What’s great about this particular set is that the girls you’re shopping for can start immediately. Everything’s included in the set, from a magic hat and magic wand, to a cardboard case that transforms into a performance table. She’ll get to learn the secrets of illusion and have fun while at it. 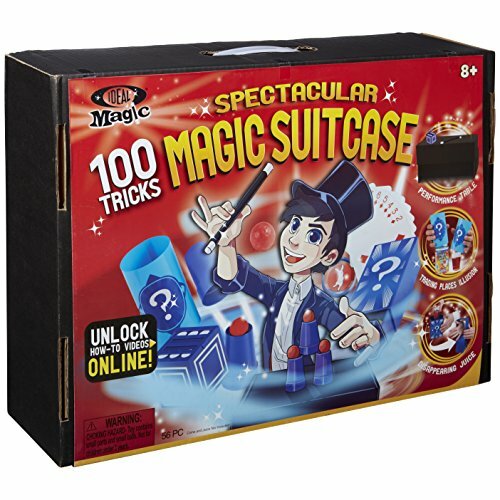 The kit features a magic show book with 100 tricks and codes. The codes are for online demonstrations by the magician Ryan Oakes. Her first tricks might include mastering card tricks, or hat tricks, such as the lollipop mystery and traveling handkerchief. 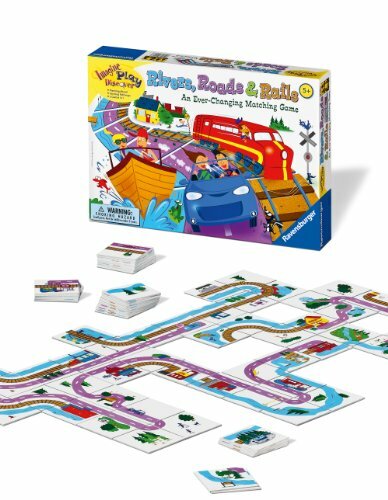 This is a transportation-themed matching game that places your 8-year-old in the driving seat and in total control. She can change the transportation network as she pleases, by matching the cards differently. There are roads, rivers, and railways that provide a working network for cars, trains, and ships. All the cards need to match perfectly to pave way for all three modes of transportation. This can be challenging, but tons of fun. What I really like about matching games is that they’re interactive. Kids play together and it enhances their social skills, patience, and sense of teamwork. This particular game accommodates up to eight players. Police chases are always thrilling. 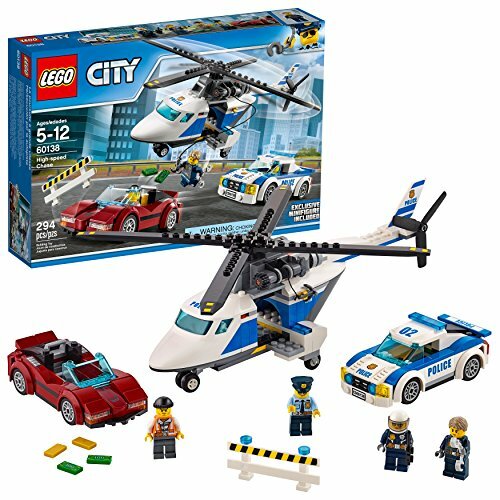 The Lego police chase includes a police helicopter with spinning rotors. What’s even more engaging is your child will need to build it. The 294-piece set features a police pursuit car and the sports car full of stolen goods that the police are after. The kit comes with several character figures, plus gear and accessories. Technology is evolving so fast it’s getting harder to keep up. This is a great gift for tech-minded kids — if your niece, daughter, or granddaughter fits that category, she’ll love it. It’s designed to keep kids entertained and engaged in an educational and fun way. 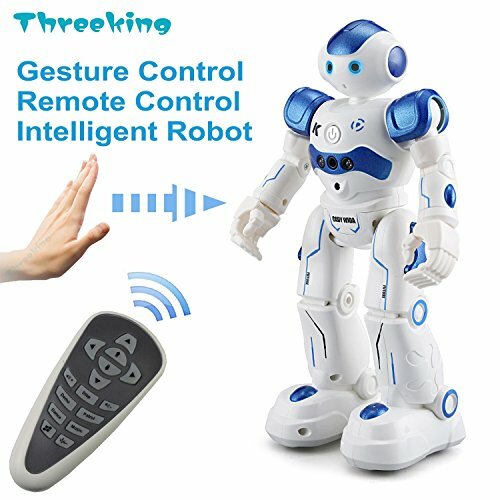 This robot features gesture control, obstacle avoidance, dancing, singing, auto display, stunning LED eyes, and intellectual programming. It also comes with skating wheels for easy movement, and flexible joints in the shoulders, elbows, and thumbs. I can’t describe the laughter that comes from the playroom every time this game is going on. The pig stinks, and it’s amazing — if that even makes sense! 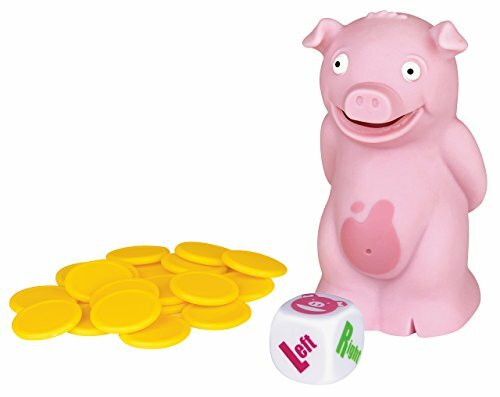 The game involves poking the belly of the pig to hear him sing. The trick is, he has to be passed on very fast before he toots. Players throw a die to determine who it goes to next. A toot means a token, and the player with the least tokens wins the game. It’s an interactive game that requires two or more players, so it’ll enhance your child’s social skills. It’s a great indoor or outdoor game so she can play with siblings, friends, or even you. DIY projects are always fun, regardless of age. Add slime to that and most children will have a field day. 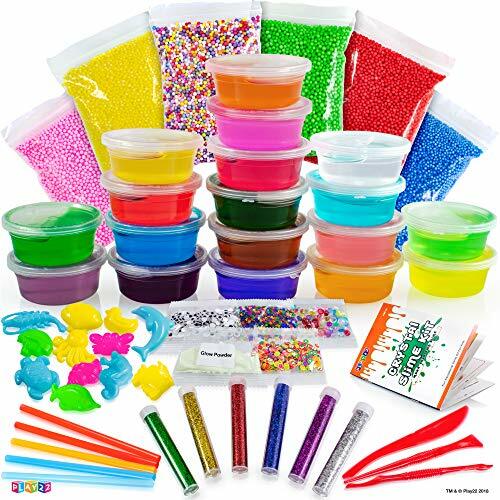 This kit features 18 different colors of fluffy slime, a six-pack of colorful balls, glitters, molds, and a plethora of accessories. With this kit, your 8-year-old can easily unleash her imagination by making her own creations in an educational and challenging setting. It’ll also stimulate her problem-solving skills. Other than that, she’ll truly have fun. If your young lady loves spending time in the pool, you could make it even more fun for her. 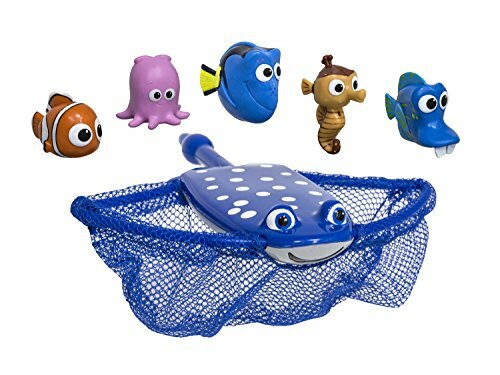 Dory is a character all kids are familiar with, and your daughter’s likely to fall in love with this game featuring the famous fish. She’s going to help Mr. Ray pick up Dory and all her friends by tossing them in the pool, then catching them with the net. Mr. Ray is the net. The friends include Nemo, Pearl, Kathy, and Sheldon. The characters float at different depths so she’ll need to dive to get some. This adds to the fun and she’ll truly enjoy herself. It’s also great for swim training. 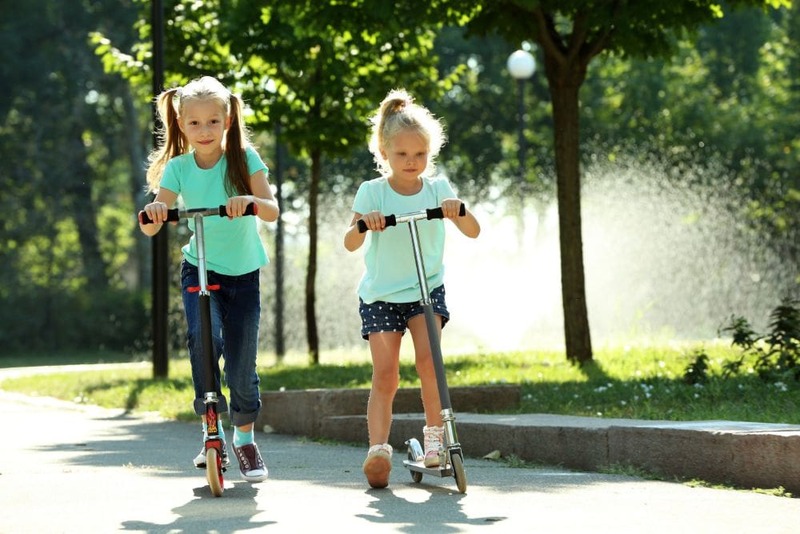 When it comes to ride-on toys, you want to ensure maximum safety to prevent injuries. What makes this scooter a good option is that the deck incorporates an anti-slip silicone logo. It comes in a choice of fun colors. A tool is provided for tightening the handlebar to adjust the height, so it will last for several years. 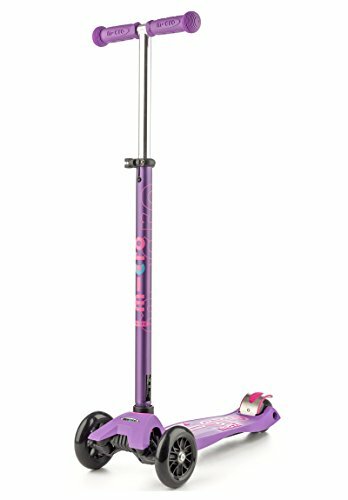 The scooter boasts a carving and curving action that allows kids to surf easily while making smooth and safe turns. At this point, you probably have an idea of what your young lady might really love. 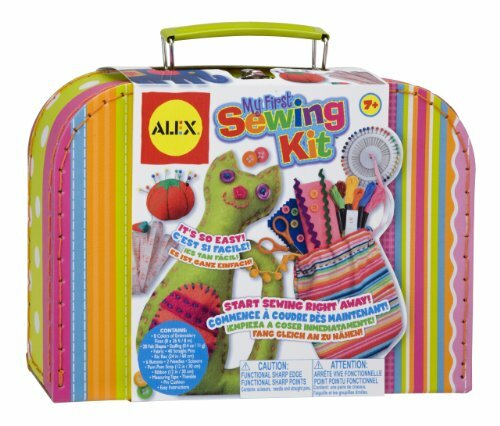 My First Sewing Kit is my absolute favorite on the list. It’s not only engaging, but interesting and fun to play with. As long as you know what truly interests your 8-year-old, you’re bound to get it right. If she likes swimming, or solving puzzles, get her something she’ll absolutely have fun with. After all, she’s still a child. It can’t be about learning all the time — she needs to have fun too! Have you purchased any of these toys for 8-year-old girls, or do you have any ideas for more? Please let us know in the comments and share to inspire others who are shopping for gifts.